In a statement on Monday, Davidian added that the Catholic Armenians are followers of one of the divine religions in Iran who can perform religious rituals and carry out social and cultural activities in the country with full freedom. It added that the US is pursuing an “opportunistic” approach to minorities to meet its own interests. Apparently, Washington supports religious minorities but in fact it is victimizing them for its hegemonic policies, Davidian said, adding that the US attitude to the colored people is a clear example in this regard. 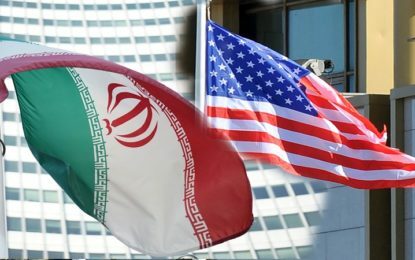 Last month, Iran’s Assyro-Chaldean churches censured US officials’ “interventionist” claims about the situation of religious minorities in the Islamic Republic, calling on Washington to be concerned about its own poor human rights record at home and abroad instead of shedding “crocodile tears” for others. In a statement released on August 14, the churches rejected US accusations of rights violations against religious minorities in Iran, saying all divine religions in the country have their own representatives at the Iranian Parliament and enjoy equal rights with fellow lawmakers. The official religion of Iran is Shia Islam under the Constitution. The Islamic Republic recognizes Zoroastrian, Jewish, and Christian religious minorities. The US, however, has long been seeking to present itself as a defender of the rights of Iranian religious minorities, accusing the Islamic establishment of intolerance towards them. Such accusations have seen a sharp rise since the inauguration of US President Donald Trump.